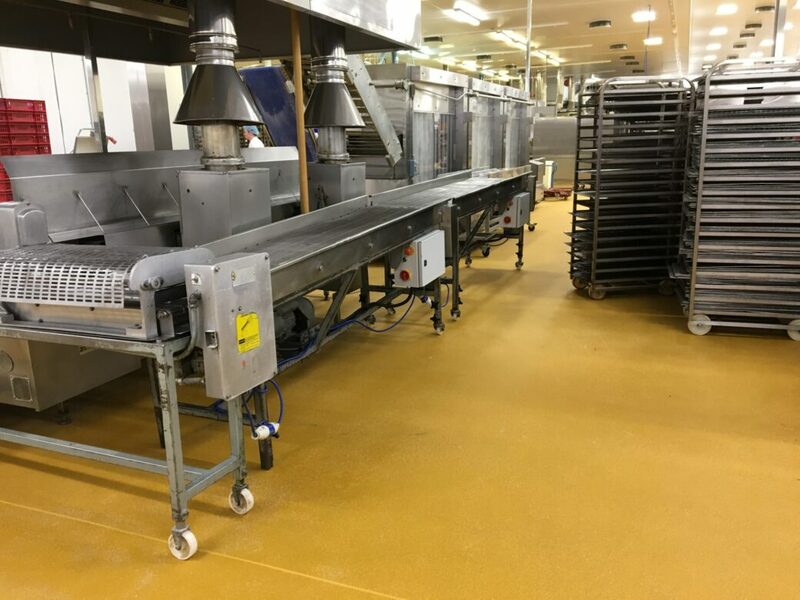 IFT was contracted by Bell Building Projects to install the food safe flooring and hygienic wall cladding to the new extension at D McGhee & Sons Ltd Bakery in Glasgow. 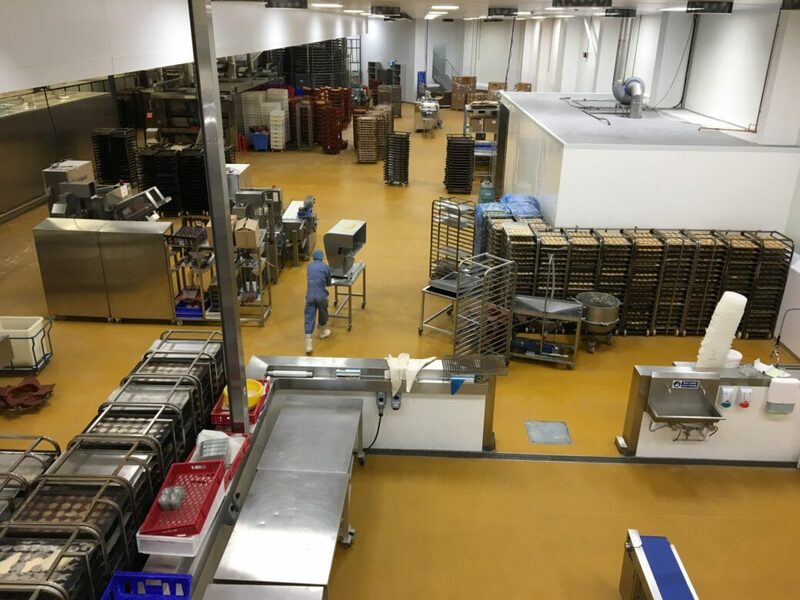 This was an integral part of Bell Buildings contract to construct a 2,000 sqm food production extension to accommodate additional production line space. IFT installed Flowfresh HF PU to the entire floor and perimeter cove. Flowfresh HF is a 6–9 mm heavy duty, chemical resistant antimicrobial treated polyurethane resin floor screed. It has an attractive fine textured coloured floor finish with a speckled effect on the surface and is ideal for wet processing zones such as food manufacturing, food preparation areas, as well as chemical processing plants. It contains polygiene, an antimicrobial additive based on silver ion technology and has a very high chemical resistance and is slip resistant. 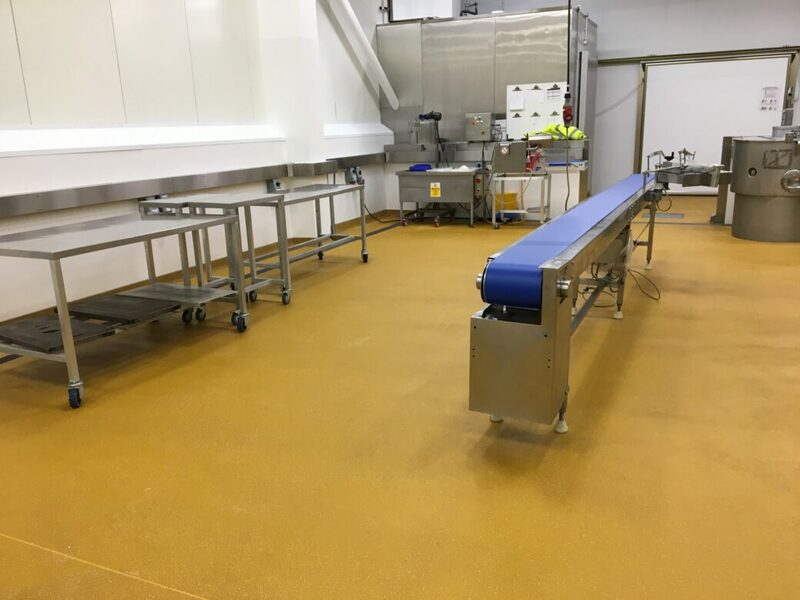 In addition to the flooring, IFT also successfully installed the hygienic wall cladding which is testament to the integrated services that we can provide. Modern hygienic wall cladding has been specifically developed to improve the safety and operational efficiency of food preparation areas as well as clean rooms, laboratories, clinics, laundries, bathrooms and changing areas. Made from PVC and PVCu, hygienic wall cladding systems are completely watertight which makes them easy to clean and protects against the build-up of bacteria, viruses, mould and fungi. The successful delivery of our works provides evidence of IFT's ability to provide a range of fully integrated flooring services. 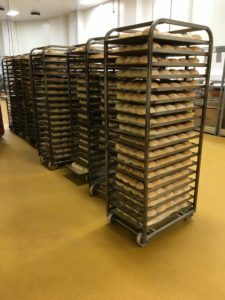 McGhee's Bakery is a family run business like IFT and we are delighted to have played a critical part in the expansion of the McGhee's Bakery, the home of 'Scotland's Famous Crispy Rolls’. 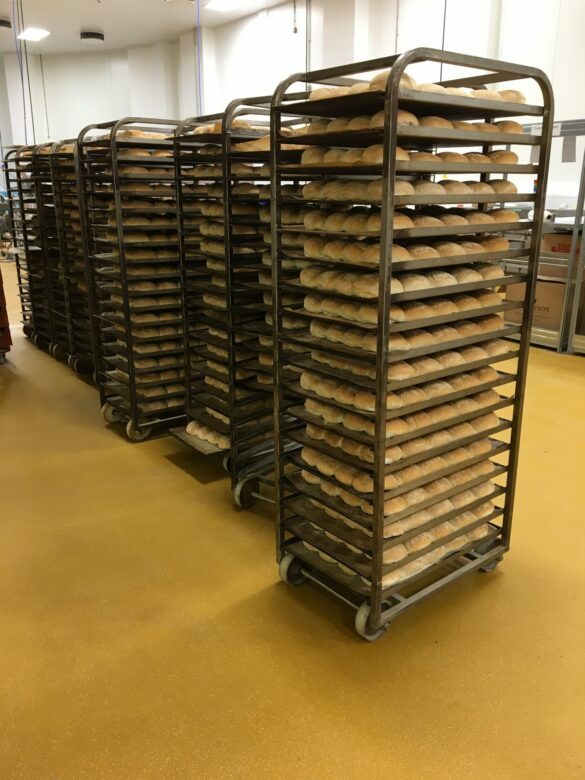 I would like to take this opportunity to thank you for the remarkable job IFT have done for me at McGhee's Bakery Site in Glasgow. I would like to comment on the way all the guys had a very pro-active approach to the job, nothing was ever an issue for either of the squads we had on site. All the works were done on time and within the allocated times scales we asked for. The works were completed to a high standard and the extra works we asked for were also dealt with in a timely manner. I found the workforce we had on site all very helpful and accommodating, especially working in the live environment where all areas were a moving target for them. I would recommend IFT to anybody looking for floor resin or wall cladding works definitely and I look forward to working with you again in the future.